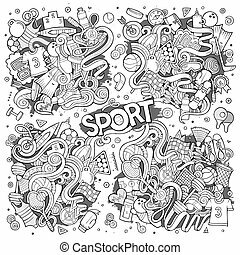 Hand drawn cartoon set of sport infrastructure. 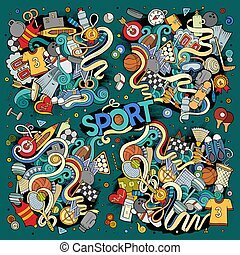 Cartoons of gym and sport stadium backgrounds. 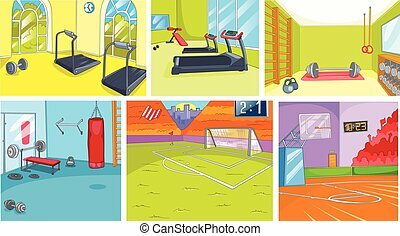 Vector cartoon set of fitness center interiors. 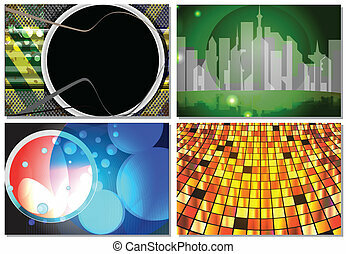 Backgrounds of basketball court and football stadium. 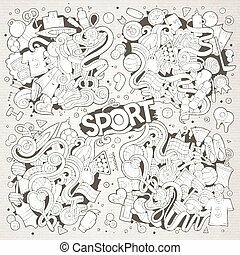 Hand drawn vector cartoon set of sport infrastructure. 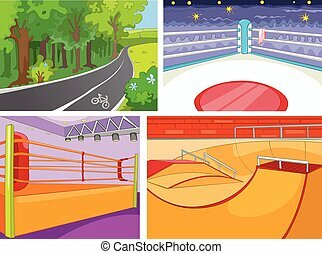 Cartoon background of playground for skateboard. 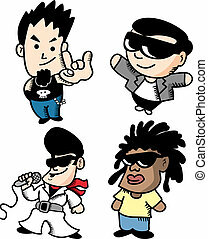 Cartoon background of boxing ring. Cartoon background of bicycle lane in the park. 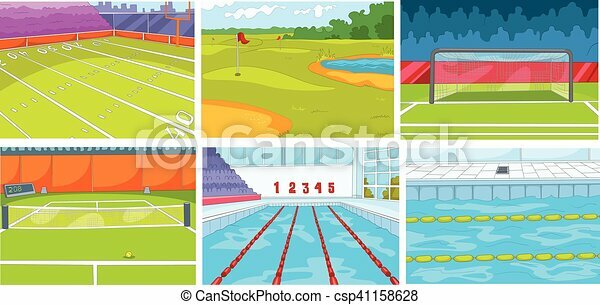 Hand drawn vector cartoon set of sport infrastructure. Cartoon background of ice skating rink. 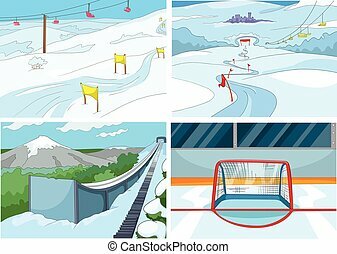 Cartoon background of mountains with ski slopes and ski lifts. Cartoon background of ski springboard. 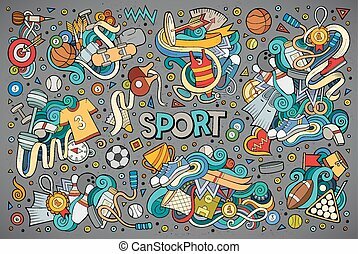 Hand drawn vector cartoon set of sport infrastructure. 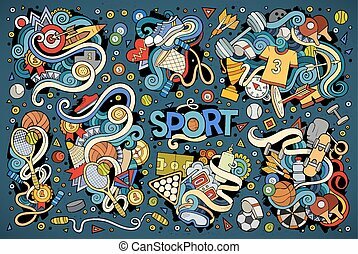 Colourful cartoons of sport stadiums backgrounds. Cartoon background of golf course. 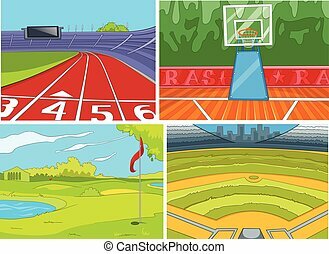 Cartoon of basketball court, baseball field, running tracks. 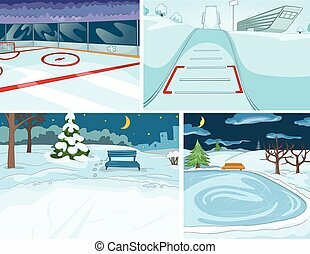 Hand drawn vector cartoon set of infrastructure for winter sports and winter landscapes. Cartoons of winter backgrounds. Background of winter park. Cartoon of ice skating rink and ski springboard. 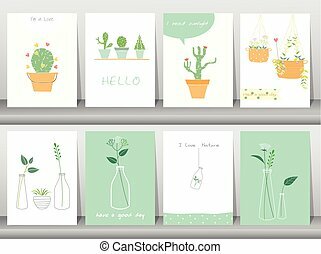 Hand drawn vector cartoon set of summer landscapes. Colourful cartoons of summer backgrounds. Background of summer forest with footpath. Background of mountain lake. 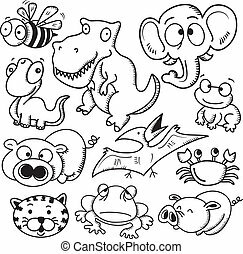 Hand drawn vector cartoon set of medical backgrounds. 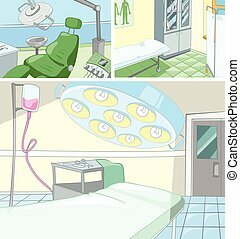 Colourful cartoons of medical backgrounds. Background of dentist office interior. Background of hospital ward. Background of doctor office. 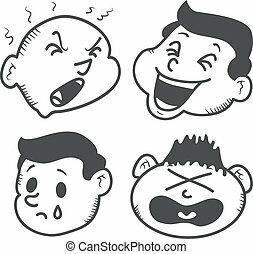 Hand drawn cartoon set of chemical laboratory. Colourful cartoons of backgrounds of chemical laboratory. 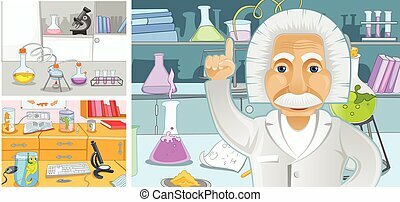 Vector cartoon set with chemical laboratory with measuring equipment, test tubes, scientist. 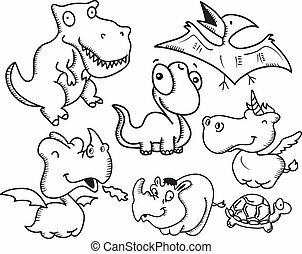 Hand drawn vector cartoon set of landscapes. 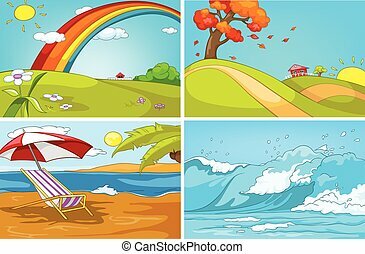 Colourful cartoons of summer, autumn, resort, ocean backgrounds. Background of beach resort. Cartoon of hilly countryside in autumn. 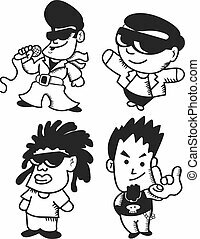 Cartoon of seascape. 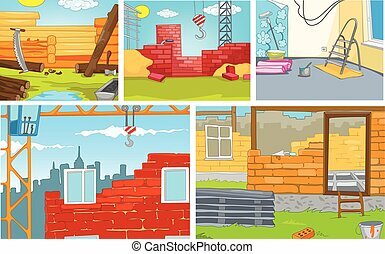 Hand drawn vector cartoon set of construction site. Colourful cartoons of backgrounds of construction sites. 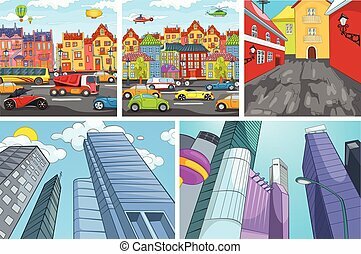 Cartoon background of building urban and rural houses. Background of apartment renovation. 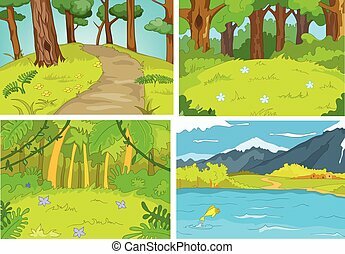 Hand drawn vector cartoon set of summer landscapes. Colourful cartoons of summer backgrounds. Cartoon of tropical island. Background of summer forest with footpath. Background of lake with pier. Hand drawn cartoon set of chemical laboratory with measuring equipment. Colourful cartoons of backgrounds of chemical laboratory with beaker, test tubes. 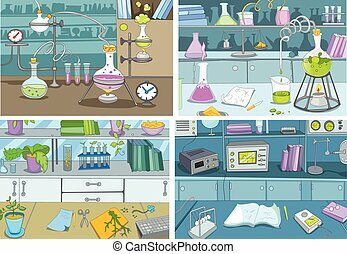 Vector cartoon set of chemical laboratory. 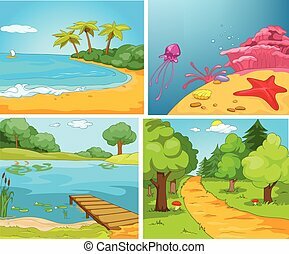 Hand drawn vector cartoon set of summer landscapes. Colourful cartoons of summer backgrounds. Cartoon background of field. Cartoon background of countryside with house. 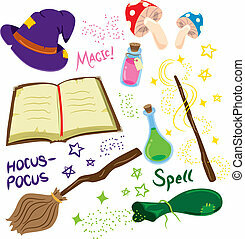 Cartoon background of meadow. 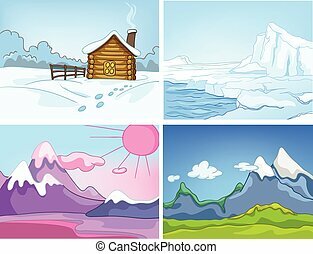 Hand drawn vector cartoon set of winter landscapes. Colourful cartoons of winter backgrounds. 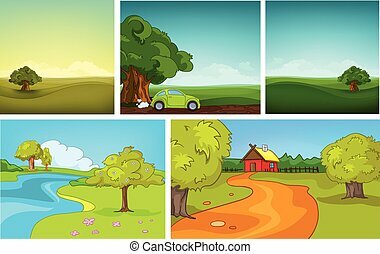 Vector cartoon set of landscapes of countryside. Cartoon background of glacier and snowy mountains.